Be careful what you wish for. A woman who was touched by tragedy as a child now lives a quiet life, keeping other people at a cool distance. She even believes she wants it that way. Then one day, she utters an idle wish and, while standing in her house, is struck by lightning. But instead of ending her life, this cataclysmic event sparks a strange and powerful new beginning. She goes in search of Lazarus Jones, a fellow survivor who was struck dead, then simply got up and walked away. Perhaps this stranger who has seen death face-to-face can teach her to live without fear. Turtle Moon transports the listener to Verity, Florida, a place where anything can happen during the month of May, when migrating sea turtles come to town, mistaking the glow of the streetlights for the moon. A young single mother is murdered in her apartment and her baby is gone. Keith, a 12-year-old boy in the same apartment building also disappears. In pursuit of the baby, the boy and the killer, are Keith's divorced mother and a cop who himself was once considered the meanest boy in town. Nora Silk doesn't really fit in on Hemlock Street, where every house looks the same. She's divorced. She wears a charm bracelet and high heels and red toreador pants. And the way she raises her kids is a scandal. But as time passes, the neighbors start having second thoughts about Nora. The women's apprehension evolves into admiration. The men's lust evolves into awe. The children are drawn to her in ways they can't explain. 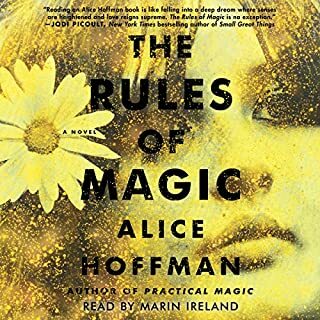 Alice Hoffman is one of our most beloved writers. 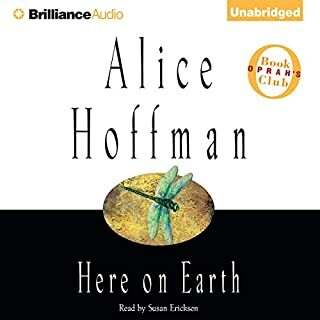 Here on Earth was an Oprah Book Club selection. Practical Magic and Aquamarine were both best-selling books and Hollywood movies. Her novels have received mention as notable books of the year by the New York Times, Entertainment Weekly, the Los Angeles Times, and People magazine, and her short fiction and nonfiction have appeared in the New York Times, The Boston Globe Magazine, Kenyon Review, Redbook, Architectural Digest, Gourmet, and Self. 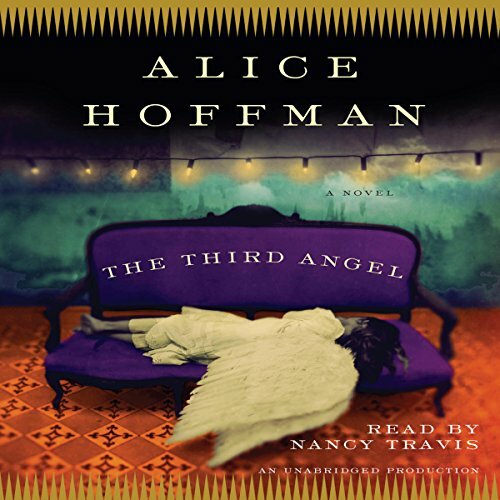 Now, in The Third Angel, Hoffman weaves a magical and stunningly original story that charts the lives of three women in love with the wrong men: Headstrong Madeleine Heller finds herself hopelessly attracted to her sister's fiancee. Frieda Lewis, a doctor's daughter and a runaway, becomes the muse of an ill-fated rock star. And beautiful Bryn Evans is set to marry an Englishman while secretly obsessed with her ex-husband. At the heart of the novel is Lucy Green, who blames herself for a tragic accident she witnessed at the age of 12 and who spends four decades searching for the Third Angel - the angel on earth who will renew her faith. Brilliantly evoking London's King's Road, Knightsbridge, and Kensington, while moving effortlessly back in time, The Third Angel is a work of startling beauty about the unique, alchemical nature of love. 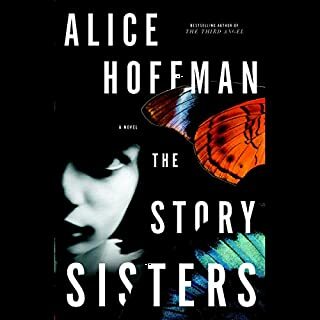 ©2008 Alice Hoffman (P)2008 Random House, Inc. Excellent story. Or shall I say stories. This was one of her most complex novels, & it did not disappoint. She weaves her characters together in such a way that you feel almost personally invested. And Nancy Travis rivals Hugh Laurie in perfecting 'across the pond' accents--holy cow it's impressive. This is probably one of my favorites of Hoffman's to date. 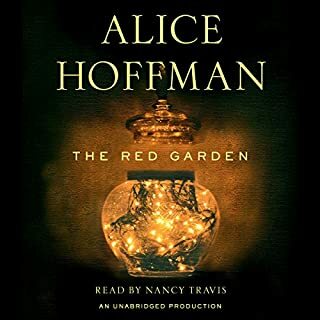 I think I have read and listen to every Alice Hoffman book ... And each one brings forth so many emotions in its pages. I always hate it when they end. 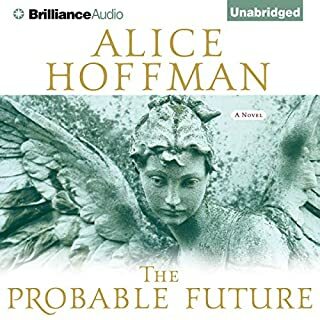 I wish I could write like Alice Hoffman… Better yet, I wish I could see like Alice Hoffman. Actually, 3 intertwining stories. Same place but diff time periods. Sometimes, hard to keep the storyline straight. However, well written with lots of food for thought. 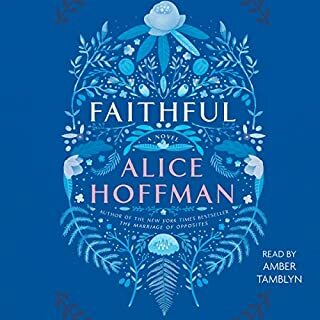 I love everything alice hoffman writes. It could be because i was listening to this sporadically, by I did not find the storyline very easy to follow. I do understand the deeper message here, or at least think I do, but as a story I did not enjoy it very much. it jumped around. I realize the structure was part of the message but found it hard to follow. it's still beautifully written.